Via Ferrata to Mt. Straumsfjellet. 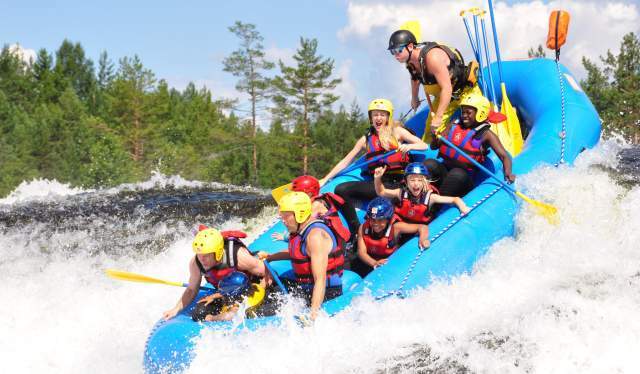 Go rafting in the river Otra, find a nice beach in Bygland or splash around with the kids in Hovden Aqualand. Explore the climbing forest in Evje, the steep mountains and the new via ferrata in Valle or try activities such as mountain biking, go-karting or bowling. 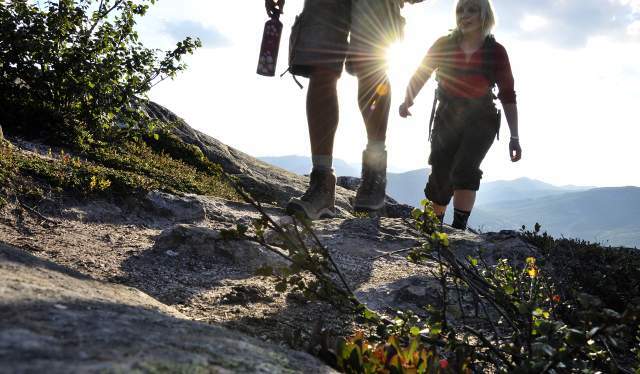 Enjoy the great outdoors - go fishing in the river or hike the beautiful mountains in Setesdal. From Evje in the south to Hovden in the north, you may choose from a wide range of family activities: bowling, go-karting, rafting, biking, climbing, hiking and swimming. The Climbing Forest is situated next to the Mineral Park in Evje, in a natural pine forest on the banks of the river Otra. Troll Aktiv offers several rafting trips daily in the river Otra, near Evje and Bygland. The Hovden Badeland (Aqualand) and Spa is an eldorado for the whole family, where children can splash in the indoor or warm outdoor pool and parents relax in the jacuzzi, sunbeds or lounge chairs. 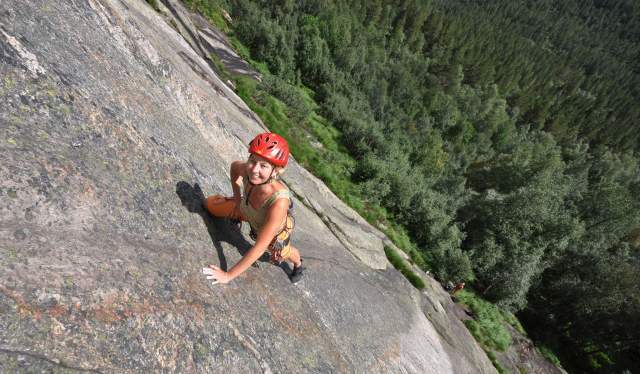 Solid granite makes climbing in Setesdal an unforgetable adventure.. The mountains in Valle attract more and more climbers every year. With more than 200 routes the area offers challenges for climbers regardless of previous experience. Solid granite with excellent friction makes climbing here an unforgettable adventure. The longest via ferrata in Northern Europe is located in Helle, near Valle. The ascent of the impressive wall of Mt. Straumsfjellet would normally require advanced climbing skills, but here you are secured to the rock by a solid steel cable. However, this activity still requires a certain level of physical fitness, and experience from hiking in steep terrain is useful, considering one’s ability to tolerate heights. The river Otra is one of the largest waterways in Southern Norway. One fishing licence covers 150 kilometres. With a fishing licence from Otra Fiskelag, you can go fishing in the river all the way from Kilefjorden in the south to the lake Hartevatn near Hovden in the north. The river has a large stock of trout, of different qualities and sizes. 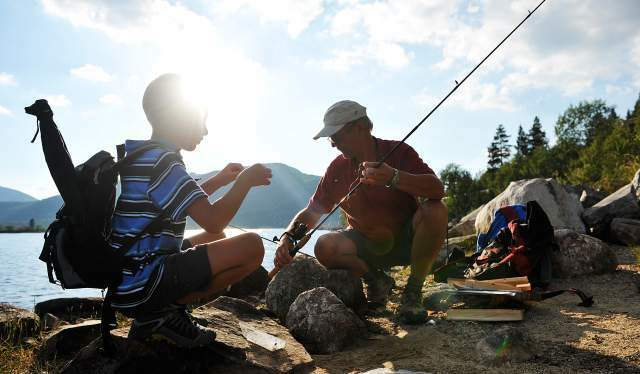 Fishing licence is for sale at the tourist offices, gas stations and camping sites. The magnificent natural surroundings of the Setesdal valley make the ideal base for exploring the great outdoors. Throughout the valley there are excellent opportunities for walking and hiking. If you choose to hike the mountains, the trail network of the Norwegian Trekking Association will keep you busy for days. If you prefer the more gentle landscape of the valley, shorter hikes are available. What about a trip to Gloppefoss in Valle, the highest waterfall in Setesdal with a drop of 300 metres?